I love Carbs. LOVE them. L O V E them. Did I mention that I love carbs? No matter what shape or size they come in, I love them. For any of my family members, who have seen me at a breakfast buffet – you know this is the case. I love to load up on carbs. Typically, I don’t eat nearly as many carbs as I would like to. But trust me, whenever there is an opportunity, I carb it up. A few weeks back, we decided to go out to a late breakfast/early lunch. This is not the usual for us…we typically do not eat breakfast out. But, since we were, it only meant one thing for me. It was time to Carb Me Up. We opted to visit Toast in Naples. Toast serves breakfast and lunch, in a very simple, friendly atmosphere. This was our first visit to Toast. After reviewing the menu, I decided to go with the French Toast and a side of Breakfast Potatoes. Ohh yes. This was going to be a carb feast. I have to say, the service at Toast was absolutley amazing. From our drinks never being empty, to the attentive waiter, it was great service. When our food arrived, I knew I was going to love it. I started with the French Toast. Each piece was perfectly cooked…slightly crispy on the outside and the softest, freshest bread on the inside. The French Toast was lightly dusted with powdered sugar. I did not apply any butter to my French Toast but rather generously used the serving of maple syrup that came with it. I love maple syrup and this was no exception. The French Toast went just perfectly with the maple syrup. Each and every bite was better than the next. 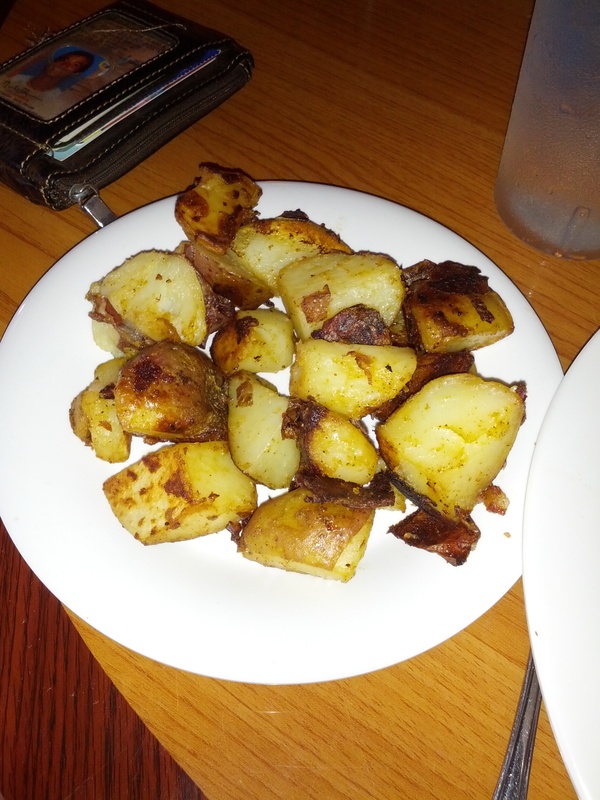 As for the Breakfast Potatoes, these were good but not the best I have ever had. The pieces of potato were plentiful however, they were missing a full amount of seasoning. I loved how these were cooked. Oh my, were they cooked well. I had plenty of pieces that were super crispy on the outside, with that soft, potato on the inside. They were just cooked to perfection. I think if these would have had a bit of seasoning, they would have been perfect. I did dip some in the maple syrup and oh my my…they were tasty. Our meal at Toast was awesome. 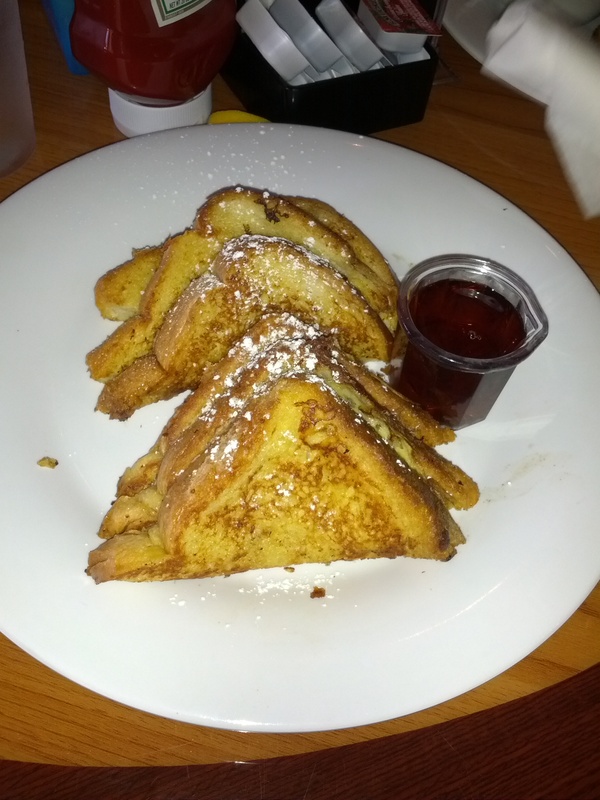 The French Toast was by far some of the best I have had in a long time. The Breakfast Potatoes were tasty but could have been better. Even so, everything overall was simply divine. I will return to Toast at any time. And while I may try another of the menu options, I can guarantee the option will include Carbs. Because at the end of the day, all I want is for someone to Carb Me Up. Do you L O V E syrup more than carbs?? How bout orange soda? Who loves orange soda?